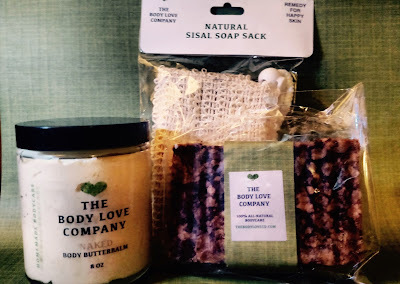 The Body Love Company #ProductReview and #PROMOCODE For You! Selena Thinking Out Loud recently tried some 100% All Natural, Homemade, body care products from The Body Love Company AND snagged my readers a nice Promo Code, good towards any of their products from now through the end of March 2016! All of the details are in my product review below. Enjoy! 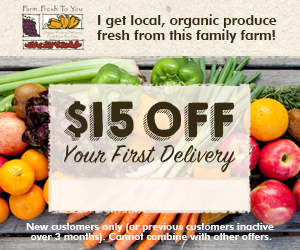 "I always made products for family and friends and decided to share my all natural creations with others who want to use natural products. I know it is very hard to find all natural body care products that don't contain harmful additives and preservatives, so I create products that only have all natural oils that work on ALL skin/hair types. We make customized products for clients who want relief from eczema, thyroid issues, aging skin and more!" Worry-free, All Natural, and "Homemade", were the three words that convinced me to give The Body Love Company products a try. As I get older, I am always on the look-out for simply-made, body and hair care products. Some brands that I have grown up with, are no longer reliable, and have caused cancer and other ailments in people. That's not fair and that's not what quality is all about. So when my package of body care products came in the mail, I first looked at the ingredients. Then I looked closely at each product by smelling and then started applying them to my skin. I received a full 8oz. jar of the Naked Body ButterBalm. When I unscrewed the top on this product, it had a nice, creamy, buttery look and smell. This is one of their homemade products. In the ingredients details, there were only three (3), which was pretty amazing, to include: pure shea butter, coconut oil, and another pure oil. I decided to shower and then put this ButterBalm on my skin after drying off. As I ran my fingers across the product, the consistency of this balm reminded me of some whipped ice cream or whipped cake frosting. The ButterBalm instantly penetrated into my skin and moisturized my skin. I had a nice moisturized, glow, to my skin! Since this product can be used from head to toe, I used it all over my body and added a little more to the heels of my feet after giving them a good soaking. I have been reaching for this product ever since I tried it the first time because the smell is not overpowering, I like the coverage that it gives, and since my skin can get really dry, I like the moisture that it brings to my skin type. I also like that it will last me a while and is set at a very reasonable price, for it to be a homemade product. Overall, my results have been positive over the week that I have been using it since writing this review. I don't have anything negative to say about it because it does its job and gives me the moisture I need without being greasy. I would recommend and purchase this product again. The bar of Pure Black Soap has a spa-like smell, infused with shea butter, and I learned that it takes 4 weeks to make! I put this bar of soap in The Body Love Company's Natural Sisal Soap Sack and took a nice, hot, shower. The soap provides a nice lather and left my skin feeling soft and smooth. There was no dry residue on my skin thereafter. It keeps well in the soap sack and continues to provide a nice lather after every use. Since it is homemade, if you take more than two showers a day, you may want to purchase multiple bars because it doesn't last as long as its competitor's brand soaps that may not be all naturally. Overall, I had a positive experience with this soap and the soap sack really added to my showering experience, which I will discuss next. One of the great things about trying new products is finding products that fit seamlessly into your everyday life. I used The Body Love Company's pure black soap in their all Natural Sisal Soap Sack. With the sisal sack; you will be able to use every bar of soap to the last drop. I found that amazing within itself because I can now get my money's worth on all of my future bar soap purchases. After you finish using one bar of soap, you can just refill it or wash it out and let it air dry, then put a different bar of soap in. I like how it exfoliates my skin as well. While the soap is providing the lather, this soap sack, removes the dead skin and give you a thorough bath or shower. I use it in my shower and absolutely love this soap sack! I received a 4oz. sample package of the WOOSAH Meditation Premium Bath Salt as well. This bath salt can be used to soak your feet, hands, full body in the bathtub, or put in a bowl of water for meditating. I used this bath salt to soak my feet before applying their ButterBalm. The first thing I noticed about this bath salt was its potent smell. It put me in the mood to sit down, relax, and soak my feet. Not only did its potent smell appeal to me, but my cat, Sonia, kept coming back and forth to the box and package to take a sniff. All of the ingredients in this product were all natural as well to include: Certified Dead Sea Salt, Myrrh, Cinnamon, Frankincense, Ginger, and other healing oils. I have never used myrrh and frankincense before and only heard about them in the Bible, so that was an added treat to the experience. Overall, I would recommend this external use only, bath salt. It's a product for men and women who need self-care on a daily or weekly basis, from home. After soaking my feet with this product, in some hot water, I felt SO relaxed. I have learned that our feet is a very important part of our body, linked to our organs. So caring for my feet, soaking them in this premium bath salt was just what I needed after a busy week. Since my experiences using The Body Love Company's products have been very positive. I wanted to make sure that you had the opportunity to give them a try as well. Do you look at the ingredients in your body and hair care products before purchasing them? O.B. ProComfort Regular Tampons Vlog Review and #Freebie! Selena Thinking Out Loud reviews o.b. SilkTouch ProComfort Regular Tampons and have Freebies for You! In this video below, I share a closeup look at the o.b. Silk Touch Tampons, usage, and how to get your free box while they last. Speaking of freebies, BzzAgent sent me 3 boxes to share, on behalf of o.b, so CLICK HERE, to send me your P.O.Box or mailing address, so that I can send you out one box to try. I recently used o.b. Pro Comfort Regular Tampons instead of my usual tampons with an applicator and I was pleasantly surprised how easy it was to wear this time around. Time and maturity has changed my outlook on the applicator-less tampon. I do feel that I have become more knowledgeable when it comes to tampons as I have grown older and understand my body more now. That in itself really makes a difference. When I was a teen, o.b. tampons were not a big hit for me. I found them a lot more complicated to fit into position during my menstrual cycle. That's when I discovered applicator tampons and used those instead. With that being said, I have recently tried o.b. tampons again, which came in my BzzAgent kit. During the heavy flow couple of days, of my menstrual cycle, they held up nicely. There was no accidents or leakage. I would definitely trust myself to wear a nice white pair of jeans or slacks. I gave them a 4 out of 5 because there is still no real way to avoid getting some of the menstrual blood on your hand while pushing the o.b tampon into place, which can sometimes be messy during the heavier times of the monthly cycle. Overall, I feel more confident in the product's performance now and would use them again in the future. I still like my applicator tampons, but I could put o.b. tampons in the same league as the applicator brands. The quality and performance is on target. This product review really gave me some insight into how important life experiences are, learning about ourselves and bodies, as we age. Do you use o.b. Tampons during your T.O.T.M (Time of the Month)? B.) No, I use a different tampon brand. My top 5 favorite movies to watch on Valentine's day are truly some of the best movies around. There's a lot of great romantic movies to watch but these really have depth, drama, intensity, and lots of romance to satisfy your Valentine's Day weekend. In the following video below, I share with you why each of these movies are at the top of my list. They are so good that I can watch them repeatedly and never get bored. That's what separates the great ones from the rest. I have most of my favorite movies on VHS, but you still should be able to stream them now online. Share your Favorite Romantic Movies in the Comments. Have you seen any of the movies I recommended in my video blog? you are the big winner in my Valentine's Day Giveaway! Valentine's Day is right around the corner! 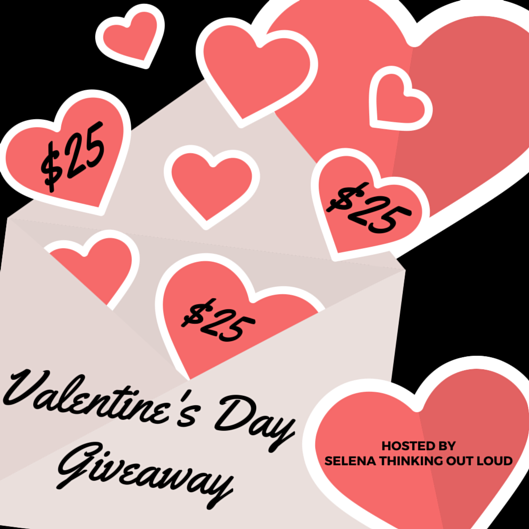 Selena Thinking Out Loud is spreading some love and cheer with you, by hosting this $25 Valentine's Day Cash Giveaway! We know that love should be expressed throughout the year, but on February 14th, it's an extra special day to celebrate!! One (1) winner will receive a $25 Amazon eGiftcard OR Paypal Cash. You choose!! Make sure to use the rafflecopter entry form below. All entries are optional, but the more entries you complete, the more chances you have to be my lucky winner. a Rafflecopter giveaway Disclaimer: Selena Thinking Out Loud is sponsoring this giveaway. Amazon and PayPal is not associated with this giveaway in any way. The winner will be selected using random.org, based on all of the verified entries on the Rafflecopter entry form. All entries are optional.